Hewitt & Campbell is built on a foundation of innovation which is the focus of our delivery and the value we bring to all our clients. At Hewitt & Campbell, we are committed to providing you with industry leading services and solutions. "Change is the only constant." - In a world challenged by disruption and fierce competition, our company is here to make sure you are leader in your field. Simon is an experienced analytics consultant with several years of experience working with world-leading companies in Retail, Consumer Packaged Goods, Financial Services, Transportation and Healthcare on their most pressing business and analytics problems. 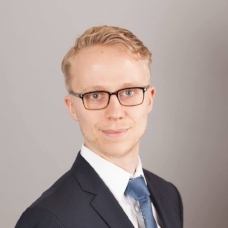 Simon has developed and implemented analytical solutions, strategies, and machine learning algorithms for numerous clients with great success. Brandon is a highly analytical thinker with great attention to detail. He brings several years of engineering experience to the analytics industry giving him a unique perspective on business challenges. He has developed several machine learning algorithms which have been deployed in various Fortune 500 companies and has worked in a number of different industries including Finance, Retail, Tech, and Telecom.